ParklandGEO is working on one of the largest dual-phase extraction system projects ever conducted in Canada. This project involved the delineation of a oil/natural gas condensate plume below an active battery site. The contamination plume encompassed 2.9 acres of free-phase hydrocarbon and 3.5 acres of impacted groundwater. The depth of contamination exceeded 30 m below ground surface within a highly fractured clayshale and sandstone bedrock. Remediation design included a full scale pilot test for both vacuum recovery and groundwater drawdown, detailed numerical modeling and evaluations of cost and risk. The remediation program was designed to take advantage of natural site grades. 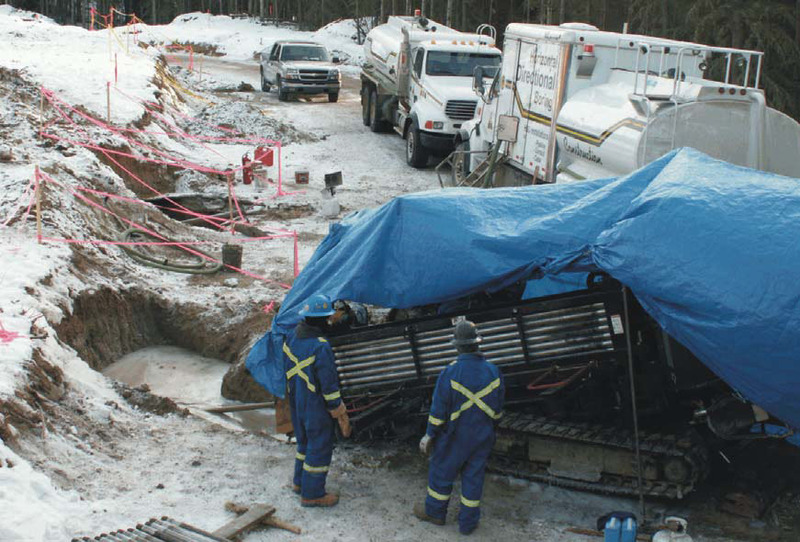 A horizontal extraction and re-injection system was installed using horizontal directional drilling techniques that required over 200 pipeline crossings and 4 km of directional drilling.